We are always exactly where we are supposed to be. By the laws of nature, it can not be otherwise. We are always exactly where we are supposed to be. By the laws of nature, it can not be otherwise. Turtle is home wherever she goes because she takes her home with her. Her medicine advises us to own our space and take the time we need. If this medicine has inched into your life, it is time to calm down. Get grounded and let go of any dead weight that is no longer needed for the next stretch of your journey. Turtle travels light and trusts that what she needs will appear from the eternally giving source of Earth ever below her. This reptile is 215 million years old, the oldest of all reptiles. She was the first of her kind and her medicine is about managing health to go the distance. She brings a lasting low frequency strength to any endeavor. Turtle’s shell embodies the calm, slow energy of stones. She is where life meets geology. 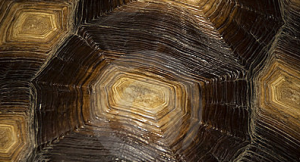 Embedded into the patterns of Turtle’s bone and enamel shell is the wisdom of Deep Time. Turtle keeps time with Life’s cycles, not clock sections. The notion of hours and minutes were created in the 13th century when European inventors sectioned off the shadows of the ancient Babylonian sundial into twelve equal parts. The invention of clocks removed the use of the physical sun to track the length of a day. Clock time ushered in a profound shift in how we live life on Earth, enabling exactitude and the thrill of racing against the clock. Where life by clock time is great fun, Turtle reminds us that it is a man-made construct separate from the deeper reality of Time itself. Clocks do not measure time, they measure themselves. And a segment of sixty minutes means nothing in relation to Earth’s life time. Living solely inside clock time can create a strain of deadlines and a feeling that time is running out. But like the radiating logarithmic patterns of her shell, Turtle lives and grows by circular lifelines rather than linear “dead lines.” She knows that life is a never ending process of arrival. And she spends her energy enjoying the journey, giving little attention to ‘missed chances.’ If Turtle has pushed into your life, it is a time to ask yourself where you are relative to where you want to be. And how do you feel about the distance between those two points? If you feel frustrated about not being where you want to be, know that it is your frustration which is the very cause of your slow progress. Turtle asks you to reconnect with Deep Time, and remember that there is no such thing as failure so long as you keep inching forward towards your goals. You have all the time in the world. Make peace with the sensation of longing and do not let a feeling of lack cause you pain. Know that what you want is on it’s way to you. It is the pain that slows you down, so take the time to set your self well. Enduring a low-grade unhappiness will only perpetuate more of that unhappiness. Learning to enjoy the way wanting feels brings what we want to us with swift and easy grace because it is the sensation of the thing we are after, not the thing itself. When we confuse the object of our desire with the sensation it causes in us we externalize our ability to obtain satisfaction. No object under the sun can fulfill our desires. It is the energy within our process that brings the satisfaction. How you travel has everything to do with what you will find at the end of the journey. And since the Earth is round, once you get ‘there’ you will always find a new ‘there’ up ahead to strive for. How do we balance the wanting of something with the frustration of not having it? Earth is an eternally giving dimension who’s only goal is to deliver unto you that which you desire. She is made of malleable materials to chop, pull, chisel, and melt. She is much stronger than all the things living upon her and she wants our joy. For her to help you obtain that joy, you need only tell her what it is you want. Once you clearly state what you want, know with absolute certainty that what you want will find it’s way to you. Turtle’s way advises we proceed with the full expectation of receiving what we want with a patient trust in the powers of Earth. Ride out the frustration of clock time and hold fast to the desire. It will arrive in perfect time. This is Law. Turtle has everything she needs and she has learned to enjoy the sensations of wanting. This dinosaur is a visual reminder to check in on our energetic boundaries. We have a shell just like Turtle, but ours is energetic. Human’s have evolved beyond the limitations of an exoskeletal system into a much more complex experience of life. But the symbol of Turtle reminds us of the very practical need to always stay connected to our metaphysical (spiritual) shell around us. There are many techniques to locate and strengthen your auric field and vital life energy, from EFT, to Energy Medicine, to a vast array of meditation techniques. All techniques teach that you extend far beyond your physical skin. Becoming more aware of your subtle energy fields will strengthen your nervous system and help you define your personal boundaries so that future experiences will not be violent or shocking to your system. Working with metaphysical protective methods creates a buffer zone like turtle’s shell between the outside world and your sensitive being. What is now called North America by the Western culture that renamed this land is called Turtle Island by the indigenous people who were living here before the conquest. The mythic Turtle who emerged from the depths of a global sea formed, with his majestic strong shell, the first dry land upon which we all now walk. In this way the turtle’s shell is a symbol of the land that bears our life. Her medicine embodies the power to anchor into a stable system and it asks that we slow down and give thanks for the astounding power of Earth under our feet. Have you traveled too high into the realms of the Great Mystery? Is it time to come back to planet Earth and just eat some lunch? 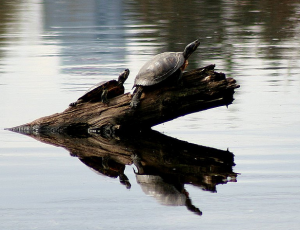 Turtle medicine holds the power to reconnect to Earths bare reality; stone, fire, wind, and water. These are the basic building blocks of all that is. This mother medicine carries the weight of the world upon her back and finds that weight a joy. When we place all of our attention on our immediate surroundings and make our sphere of life a place we like to be, we connect to the universal center of all that is. 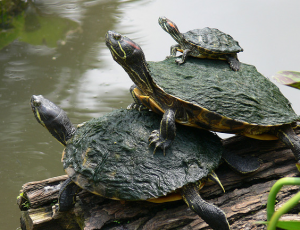 Grounding with Turtle medicine reminds us that all things unfold in good time. And like Turtle’s shell, resources surround you everywhere you go. A recent article in the L.A. Times reports that scientists have mapped the Turtle’s genom and found this ancient creature to have rather magical qualities when it comes to oxygen deprivation and hypothermia. 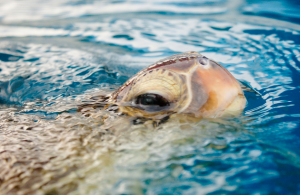 Turtle begins her life buried alive deep in the sand and she crawls her tiny way to the Sea. She lets the Sea take her where the currents flow and she values all that crosses her path as exciting and new. Turtle understands that the faster you go, the sooner the journey will end. And that ending will only unfold the next adventure you are ready for. All journeys teach us how to awaken into the abstract beauty of what simply is. Every point upon this wide, round world is the perfect place for you to be. And this medicine teaches you how to anchor into a personal sense of value wherever you are. If you live outside the Los Angeles area use this tool to confirm appointment times.